In partnership with the DuSable Museum of African American History, we’re rebooting our series of films about Black women. This more or less bimonthly series will look at groundbreaking Black women in the United States and around the world through rare films, many of them on archival 16mm prints and unavailable anywhere else. 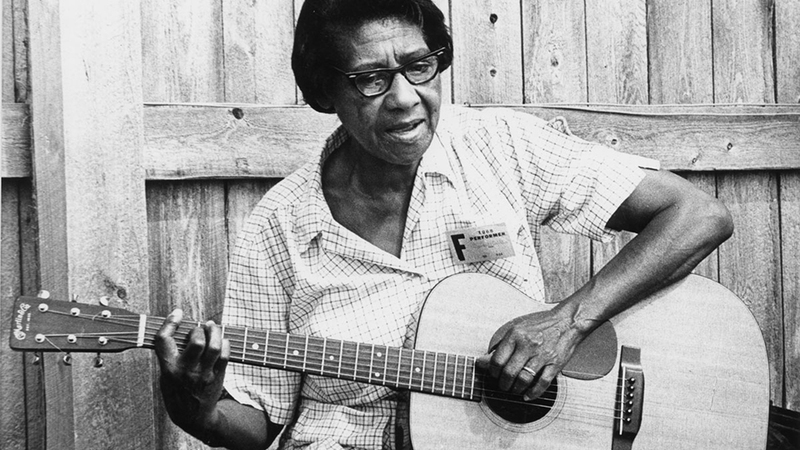 Geri Ashur’s Me & Stella (1976, 26 min., digital video) traces the life of blues musician, folk singer, and composer Elizabeth Cotten—and her guitar, Stella—who is best known for writing the folk standard “Freight Train.” After spending her early teenage years writing songs and playing the guitar, Cotten put her musical career on hold for three decades. Encouraged by the very musical Seeger family, for whom she worked as a maid, Cotten started recording and became a star in the 1960s burgeoning folk revival at an age when most people are contemplating retirement. Roberta Flack (David W. Powell, 1971, 30 min., 16mm courtesy of the Indiana University Libraries Moving Image Archive), filmed for public television soon after Flack’s debut album First Take, looks at the music and creative philosophy of the newly minted superstar. Featuring performances from the Newport Jazz Festival and a Washington DC club, the film also addresses Flack’s mixed-race marriage to bass player Steve Novosel and their struggle to manage two careers. Shanta Nurullah is a storyteller, musician, and teaching artist. Her career spans over four decades of promoting African and African American folklore, spoken word performance, children’s and improvisational music. Shanta has performed across the U.S. and abroad and has received numerous awards, fellowships, and grants.